You've seen the ring, now meet the earrings. A real surprise to me this year has been the popularity of my leather rings, like the Ruffles Ring. They started out as experimental ideas from the Ring a Day challenge using silver and recycled leather. 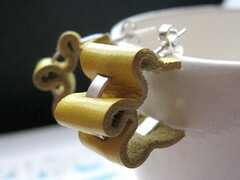 Now I have designed a cute pair of ruffled earrings to match. 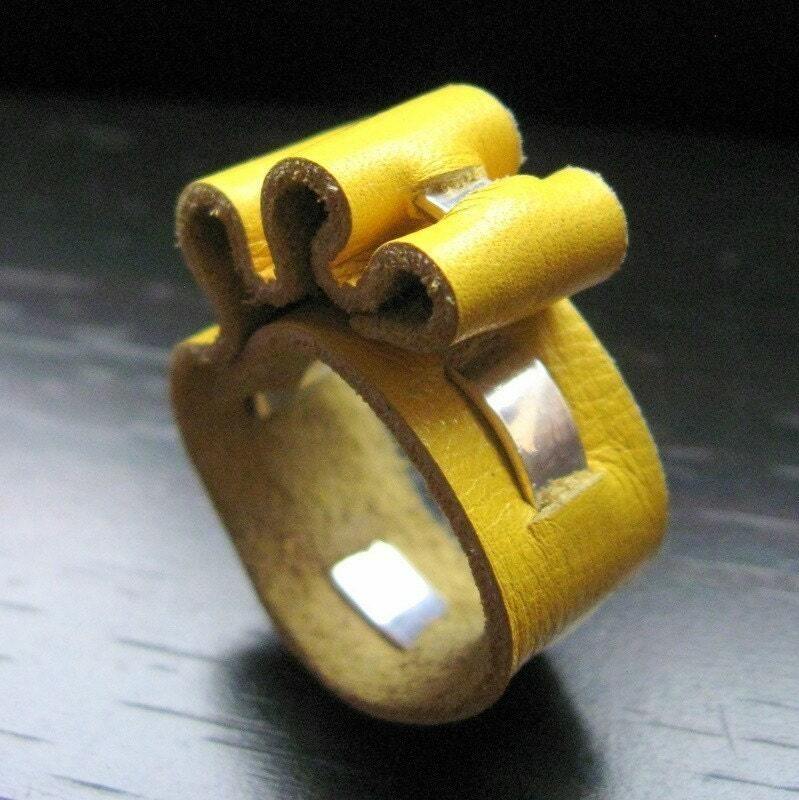 Like the rings they are a limited edition as I only have a little of this fabulous yelow leather left..
just wunderful ! What a great idea !